In 3- to 4-quart slow cooker, mix all ingredients except cheese. 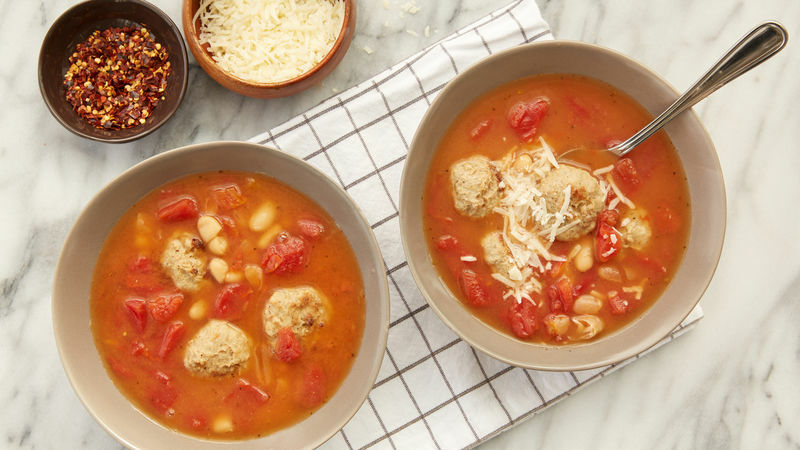 Purchase crisp Italian breadsticks instead of crackers to serve with this soup. Place the package of meatballs in your refrigerator the night before, and they will be thawed in the morning.